The Sonoma Valley Hospital Foundation (SVH) is dedicated to bringing health and well being to the residents of Sonoma Valley through philanthropic and volunteer support for Sonoma Valley Hospital. Your contributions assist the Hospital in its mission to maintain, improve and restore the health of everyone in our community. Since its founding in 1982, the SVH Foundation has raised more than six million dollars from individual donors, charitable foundations and corporations to enhance medical services, equipment and programs, and to help cover the Hospital’s cost of caring for patients who could otherwise not afford to pay. “Every Woman Counts”. Each month, the Foundation underwrites the cost of providing mammography services to uninsured and under-insured women. Bed replacement. The Foundation has replaced over 30 antiquated hospital beds with new, state-of-the-art beds, thereby significantly increasing the comfort and safety of patients and their caregivers. InSight Surgical Mini C- arm for the emergency department and operating room. This purchase replaced old equipment that needed frequent repair. With the new equipment, the hospital is able to provide safer and more consistent care to orthopedic patients. For more information about the Sonoma Valley Hospital Foundation, click here. 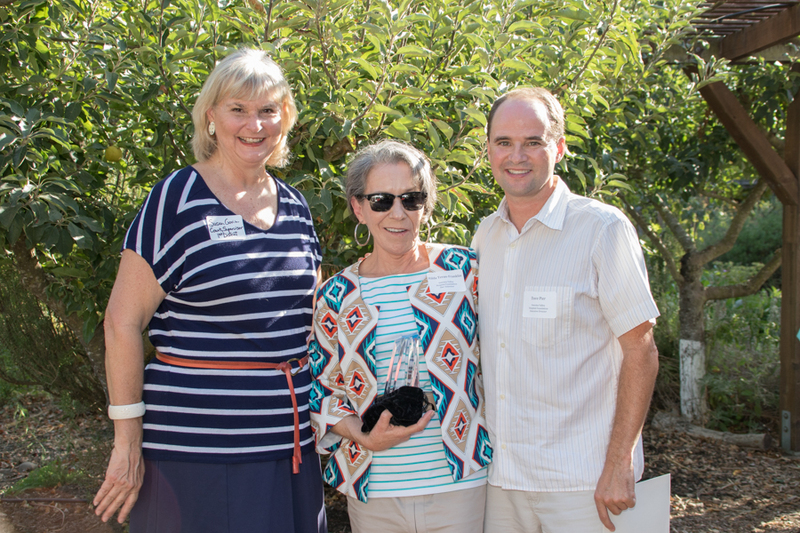 Sonoma Valley Hospital Foundation's Executive Director Dave Pier (right) and Susan Gorin (left) present the Star Award to Hilda Teran-Franklin. Hilda has been a standout volunteer to the SV Hospital Foundation for over 8 years, contributing countless hours of her time; serving on the Foundation Board of Directors, and committees for Celebration of Women and the Magic of Christmas. Most recently her positive attitude, leadership skills and poise have been instrumental in the success of Celebration of Women, our fundraiser for Women’s Health and Wellness programs. Hilda is an “auction guru,” using her creative energies to make our auction tables beautiful and organized, and as a mediator when two bidders think they’ve got the winning bid!